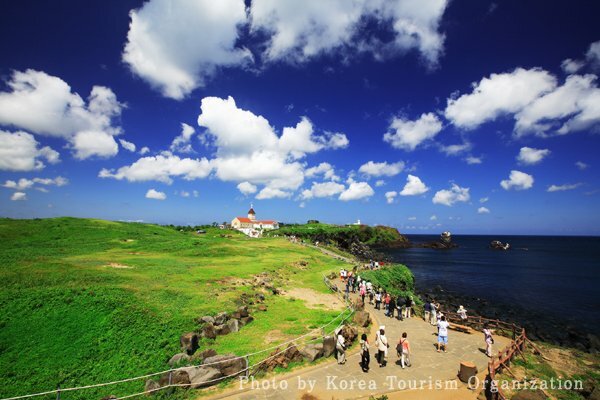 Jeju Province is one of the nine provinces of South Korea. 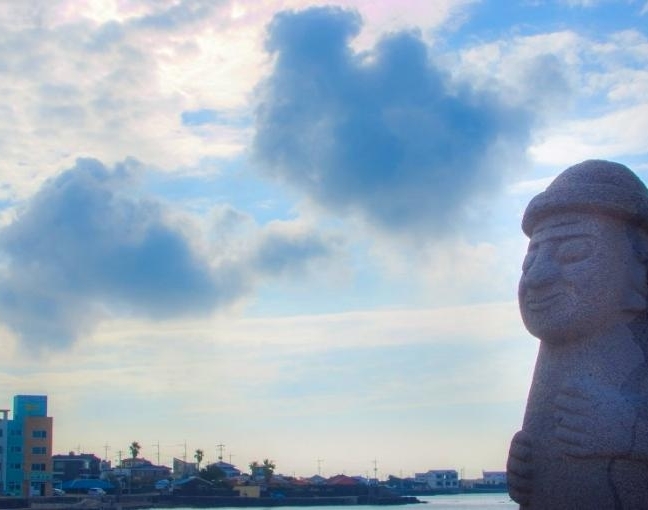 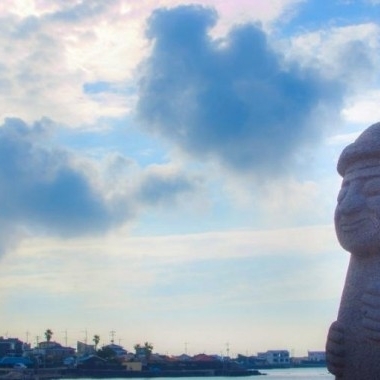 The province is situated on and coterminous with the nation's largest island of Jeju, formerly transliterated as Cheju, Cheju Do, etc., or known as Quelpart to Europeans. 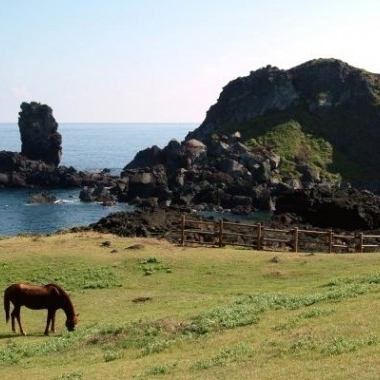 The island lies in the Korea Strait, southwest of South Jeolla Province, of which it was a part before it became a separate province in 1946. 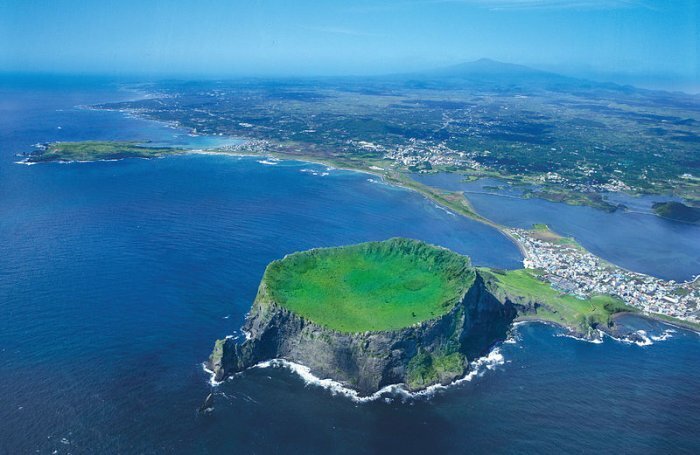 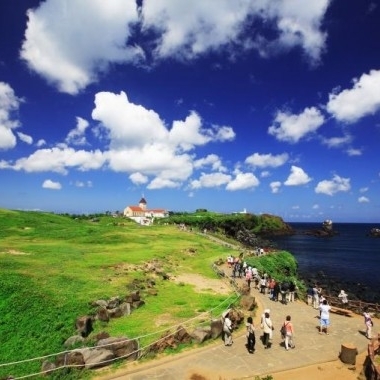 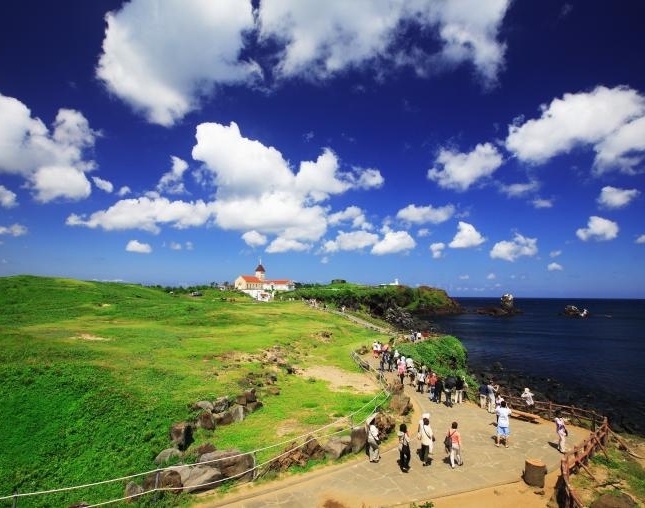 The island contains the natural World Heritage Site Jeju Volcanic Island and Lava Tubes. 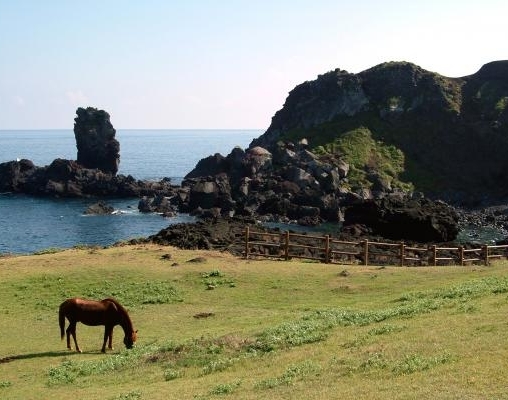 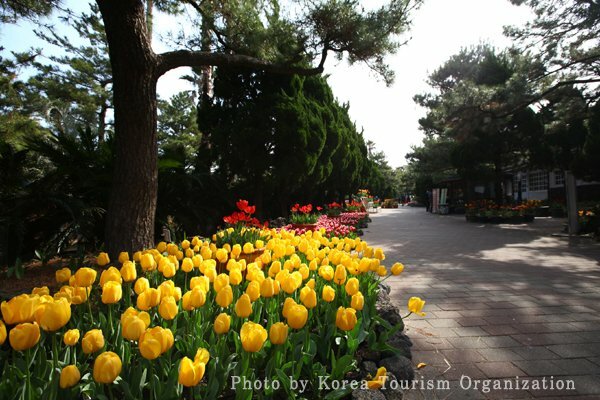 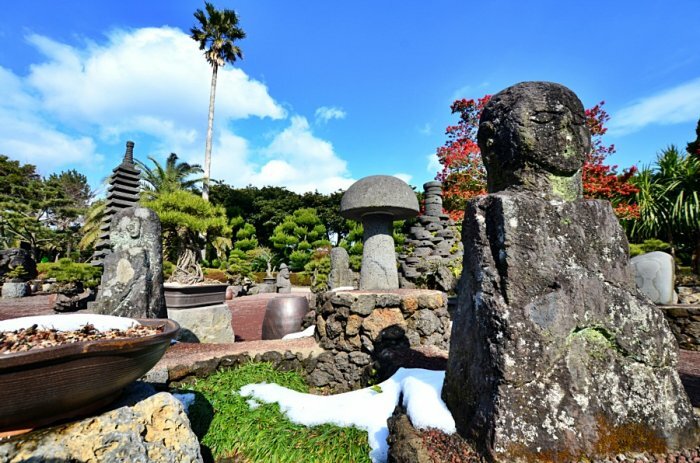 Jeju Island has a temperate climate and even in winter, the temperature rarely falls below freezing point. 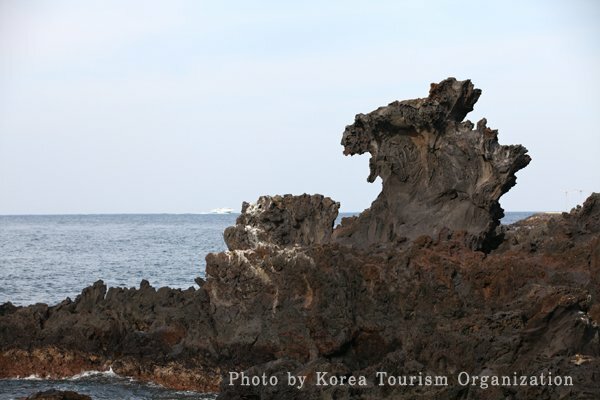 Yongduam was created by strong winds and waves over thousands of years. 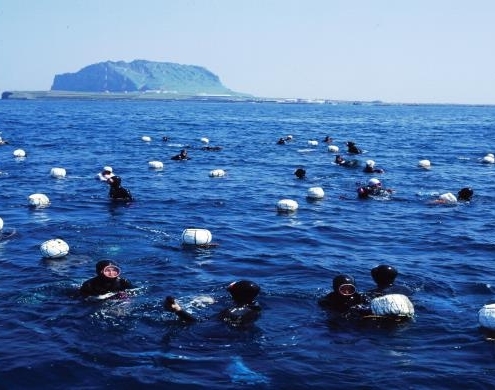 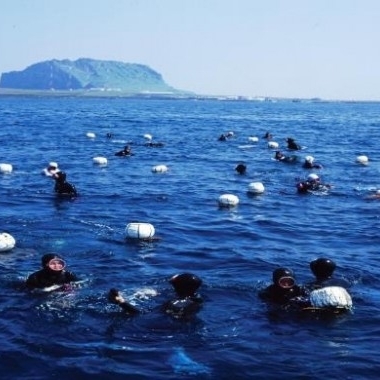 From Yongduam, visitors can see Haeneo women divers working on catching seafood. 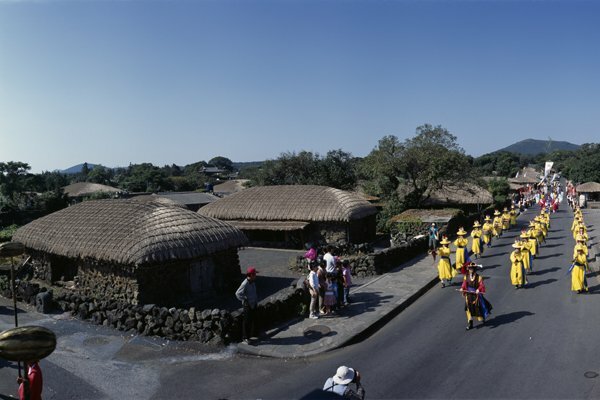 Near the rock are various cafes, bars, and restaurants. 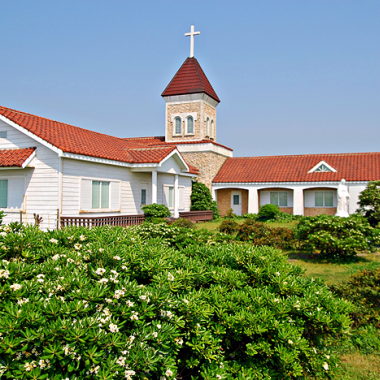 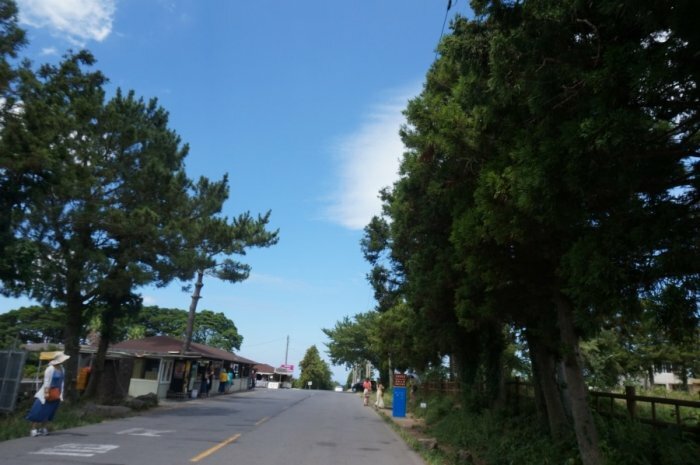 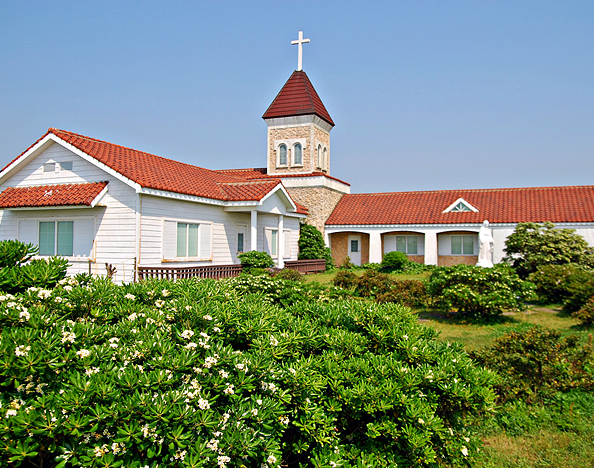 The coastal road between Aewol-eup and Yongduam is a popular spot for couples.